These chocolate truffles are made from ganache, which sounds “fancy”, but is just the French word for an emulsion of cream and chocolate. chop chocolate in a food processor fitted with the steel blade until fine. In a small saucepan, over medium heat, bring cream just to the boiling point. With the food processor running, immediately pour the hot cream into the feed tube and blend with the chocolate. After two minutes stop and scrape the sides and edges of the bowl, then continue to process for another minute or two to make sure all the chocolate is completely melted. Do not stir mixture. Pour into a container, and place plastic wrap directly on top to prevent skin from forming. Cool to room temperature and then refrigerate until firm. 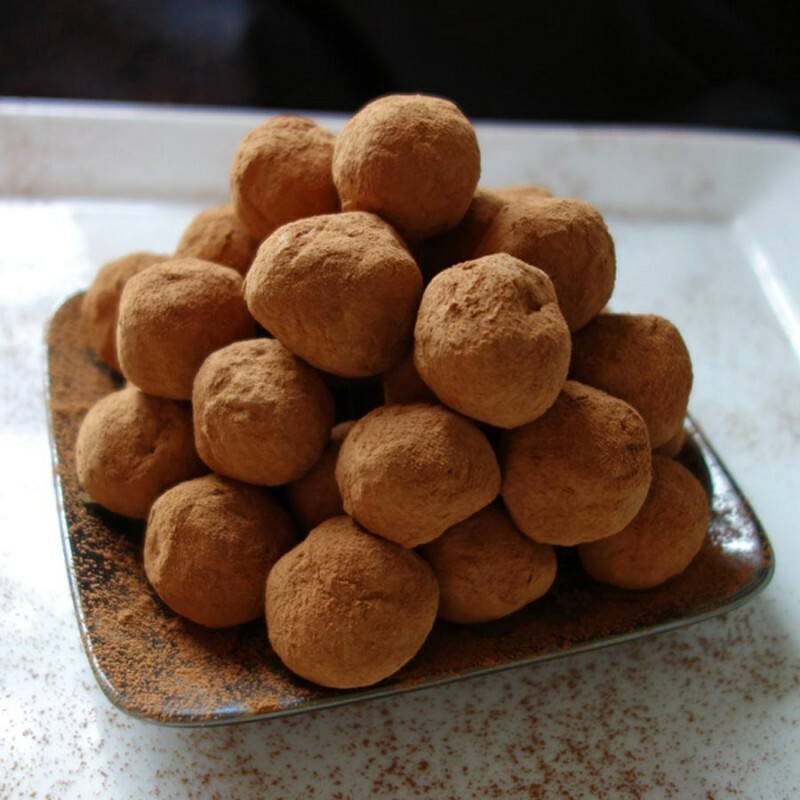 Form teaspoons of ganache into balls and roll in your choice of cocoa powder, nuts, sugar, coconut flakes, etc. Until completely coded. Store in air-tight container in a cool place or refrigerate. Serve truffles at room temperature. You can also dip the ganache centers in tempered chocolate. It’s a bit more work, but they will last longer. Make sure the centers are not too cold when you dip them or the tempered chocolate will crack.